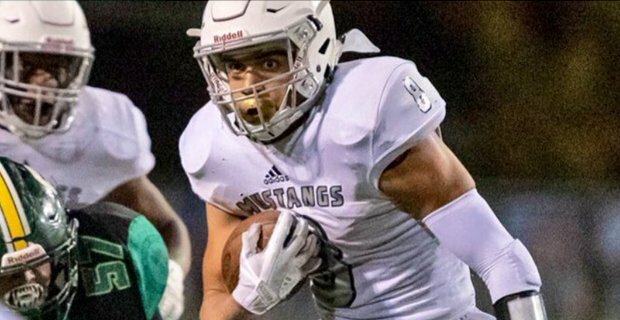 There weren’t expected to be any surprises heading into National Signing Day on Wednesday but that all changed earlier today when Rival’s Josh Helmholdt got word about 2019 Blue Valley North (KS) ATH Amauri Pesek-Hickson not signing with Michigan ($). According to Pesek-Hickson, Harbaugh let him know there weren’t enough spots in the 2019 class and were looking for him to reclassify to the 2020 class as the staff is looking to use the remaining spots on transfer defensive lineman. With Pesek-Hickson now off the commitment list, Michigan is down to 26 overall commitments for the 2019 class, 25 of which have signed their Letters of Intent. St. John’s (DC) S Quinten Johnson will be the lone signee for the Wolverines on Wednesday. Johnson’s official signing will lock Michigan into the top spot in the Big Ten and yet another top 10 recruiting class for Harbaugh and company.